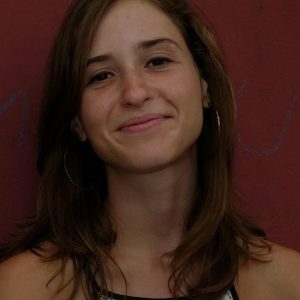 Mariana is a PhD student focusing on labor and popular political action in 19th-century Latin America. Her current research explores the trajectory of artisans in Buenos Aires in the making of capitalism, in a quest to connect the history of colonial artisans to the early labor movement. She is particularly interested in the development of work-based solidarities and identities, in artisans’ involvement in the forging of republicanism, and in the connections that linked artisans to Atlantic markets and the circulation of ideas. She also explores how racial inequalities affected workshops and how work-based and gender identities intersect. Prior to coming to Columbia, Mariana graduated in history at the University of Buenos Aires, in Argentina. She has been involved in a variety of public history initiatives, from writing textbooks to starting a website that approaches Latin American history through its music. She also worked as a researcher for the Museo Nacional del Cabildo for two years, where she participated in the curation of exhibits and development of a podcast series. Mariana has published an article on artisan protectionism in Buenos Aires in the early 19th century. She is also co-author of the book El 25 de mayo imaginado. Historia cultural del mito de origen argentino (forthcoming, 2019).